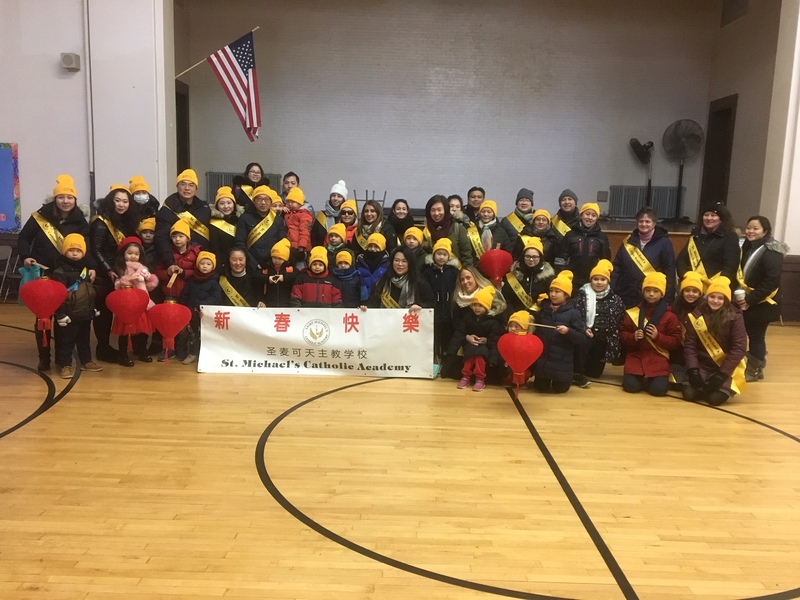 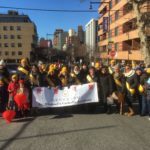 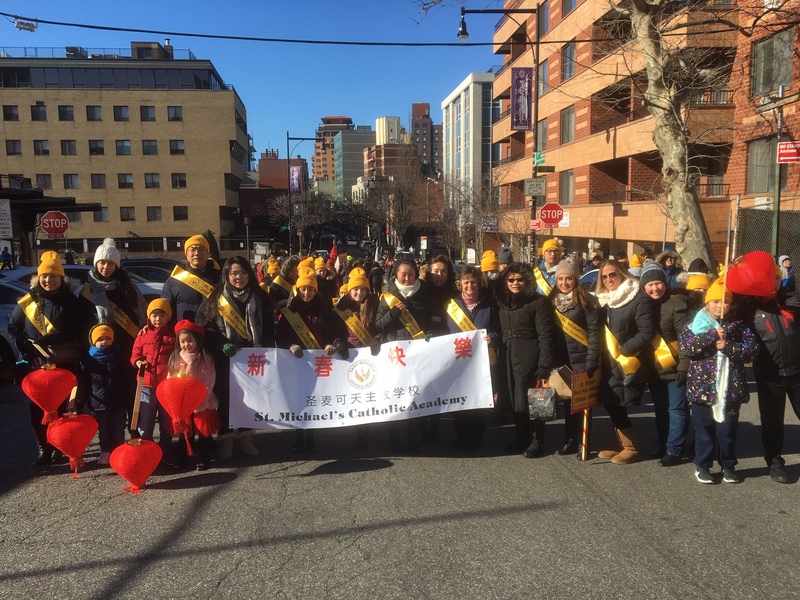 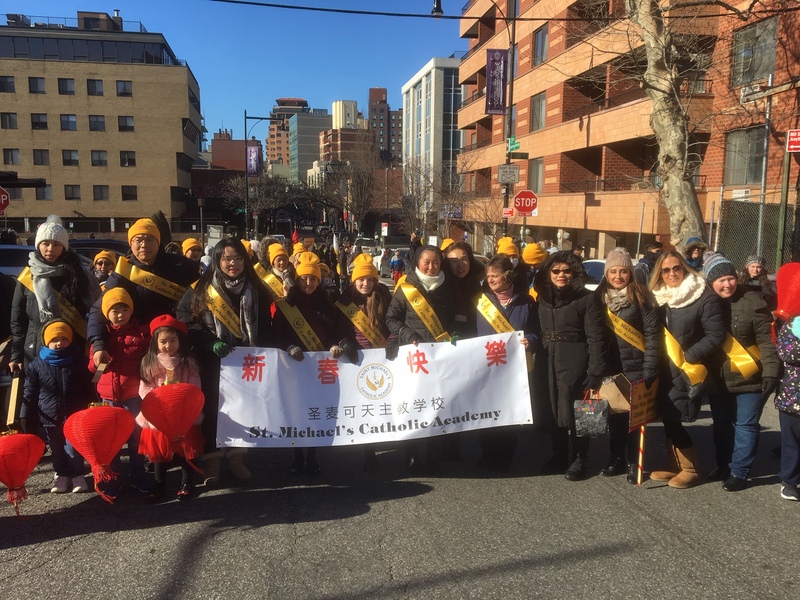 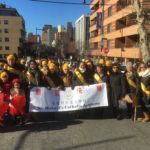 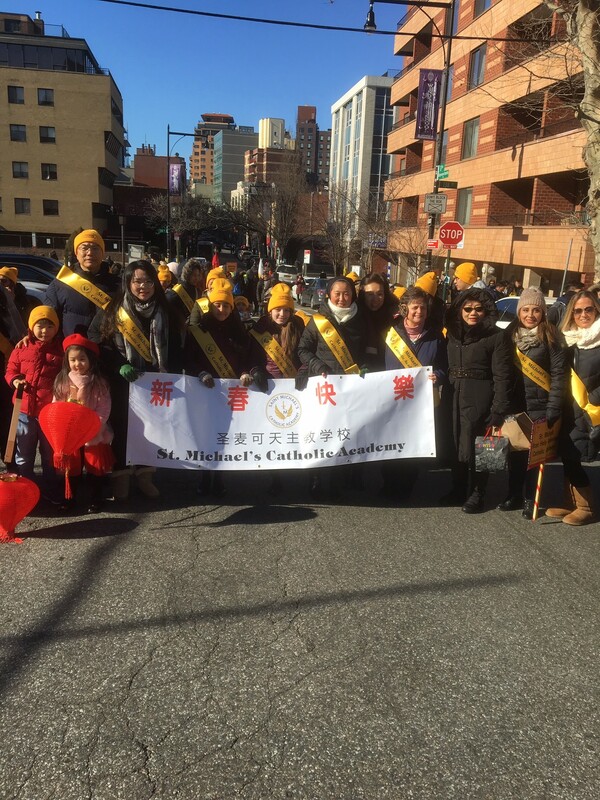 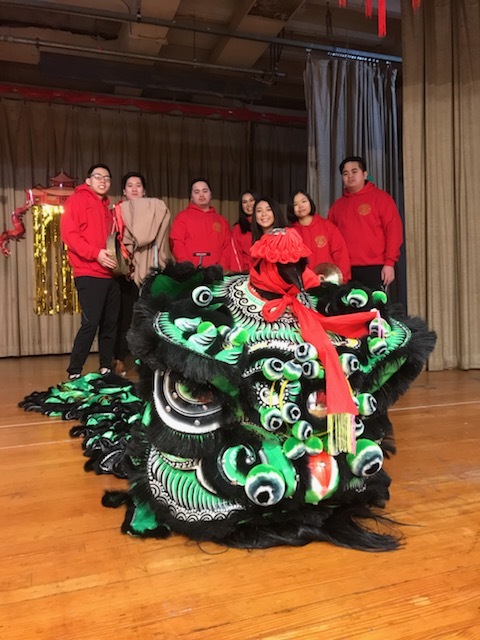 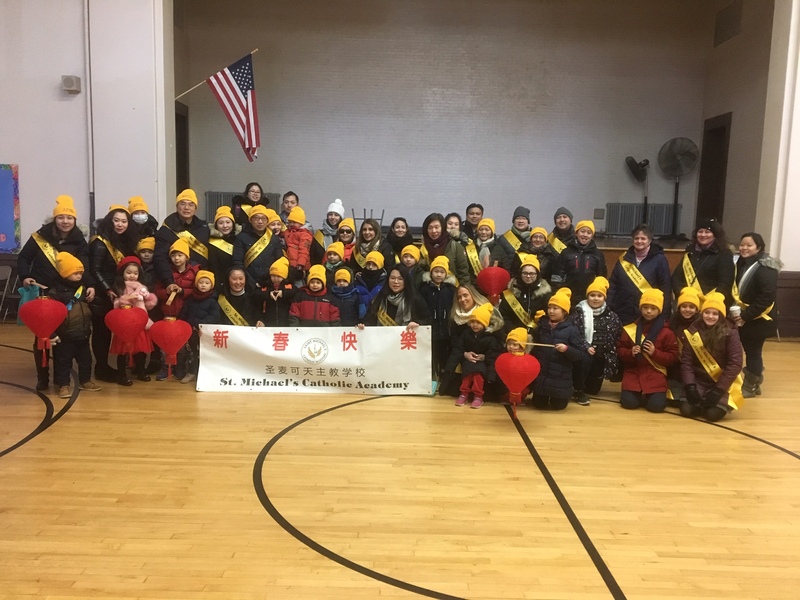 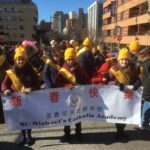 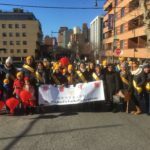 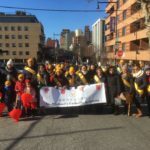 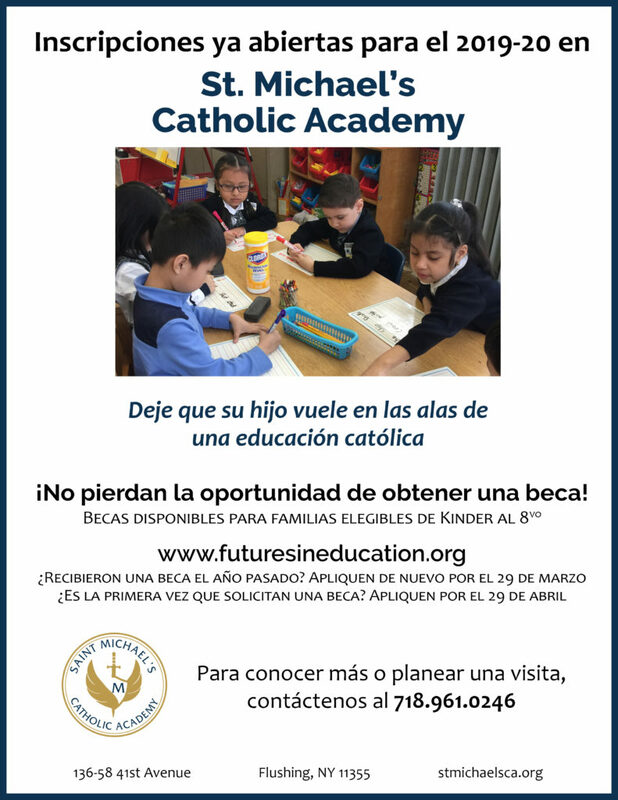 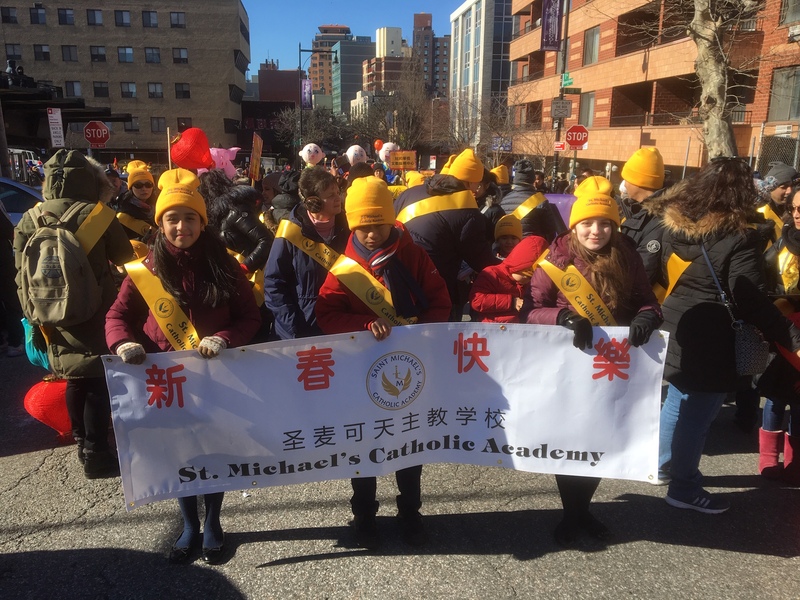 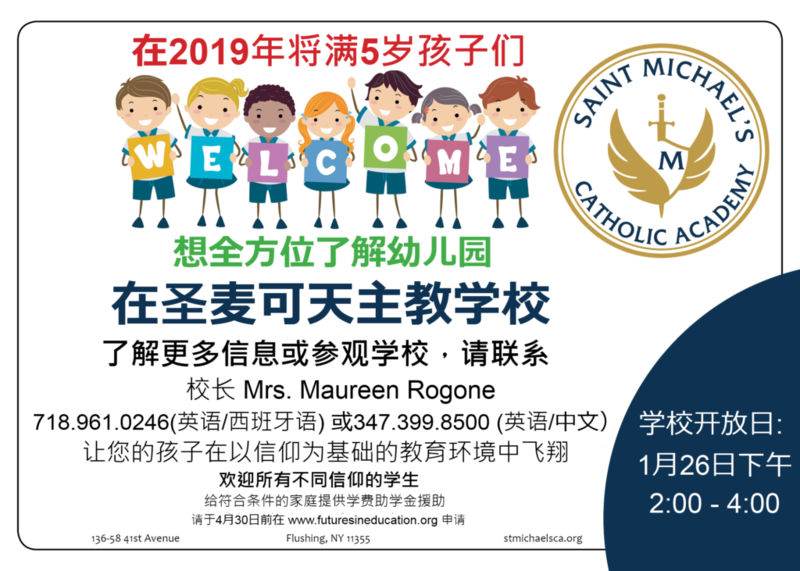 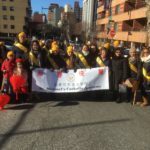 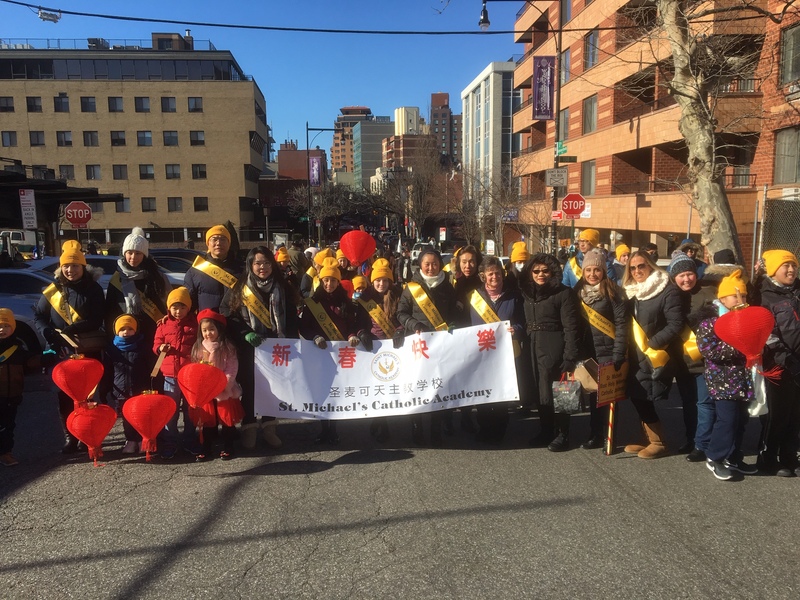 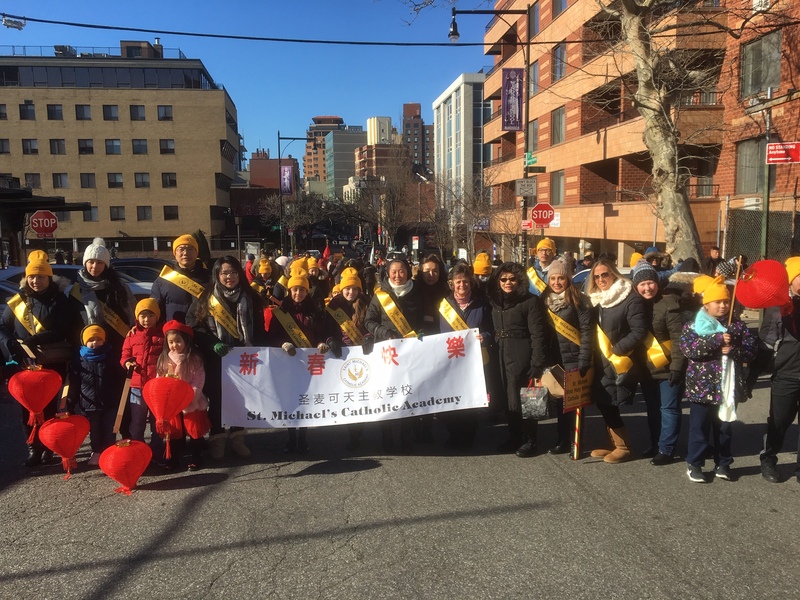 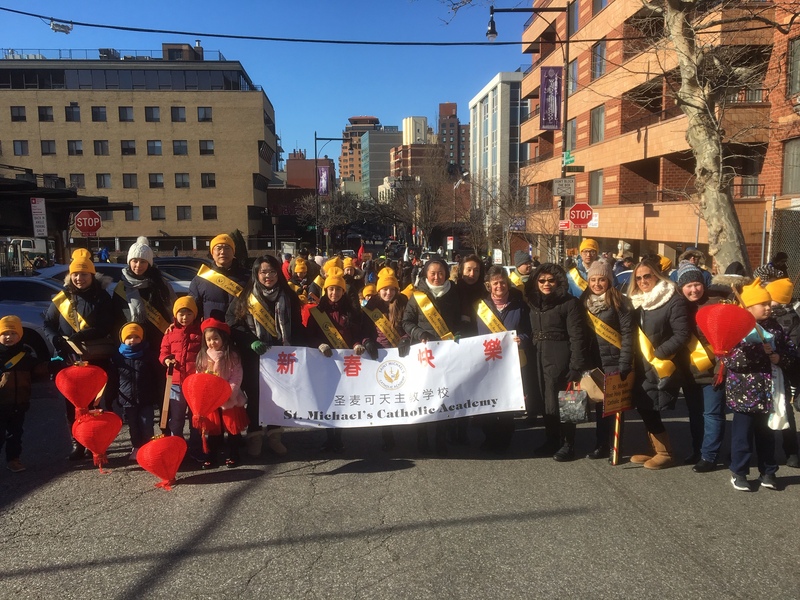 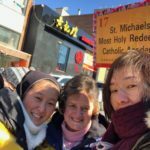 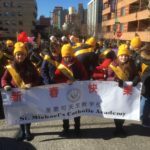 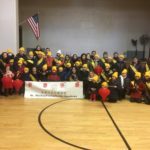 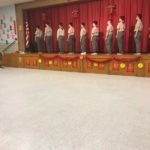 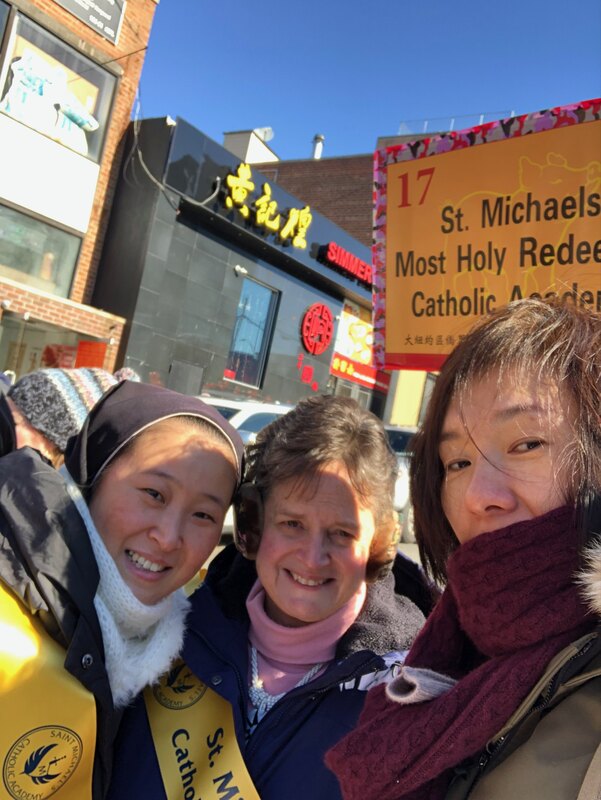 St. Michael’s Catholic Academy proudly joined thousands of people marching in the Lunar New Year Parade through Downtown Flushing. 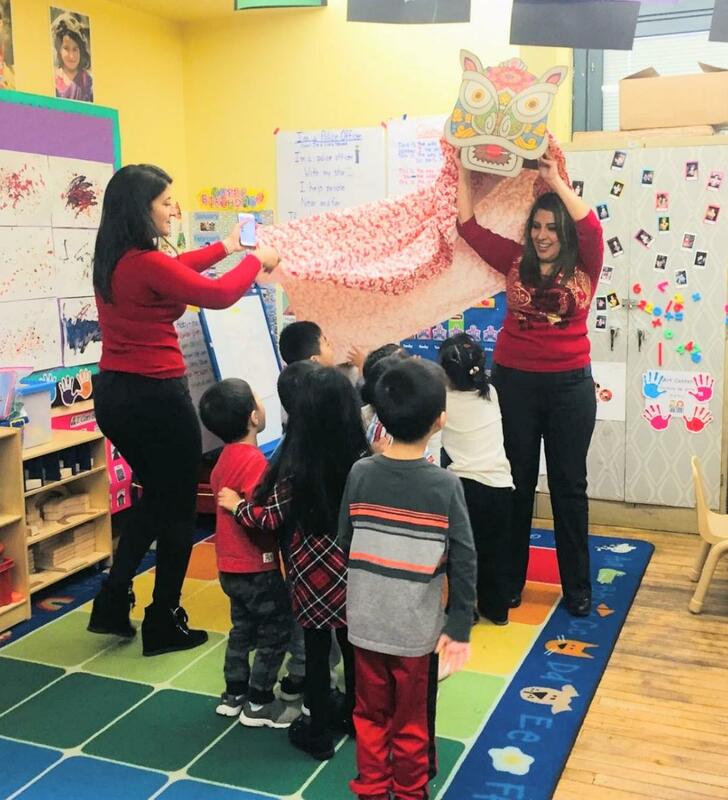 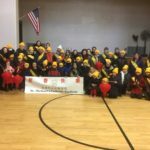 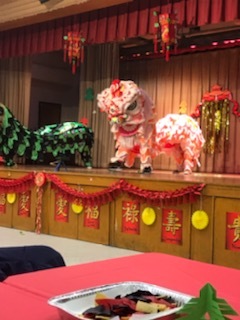 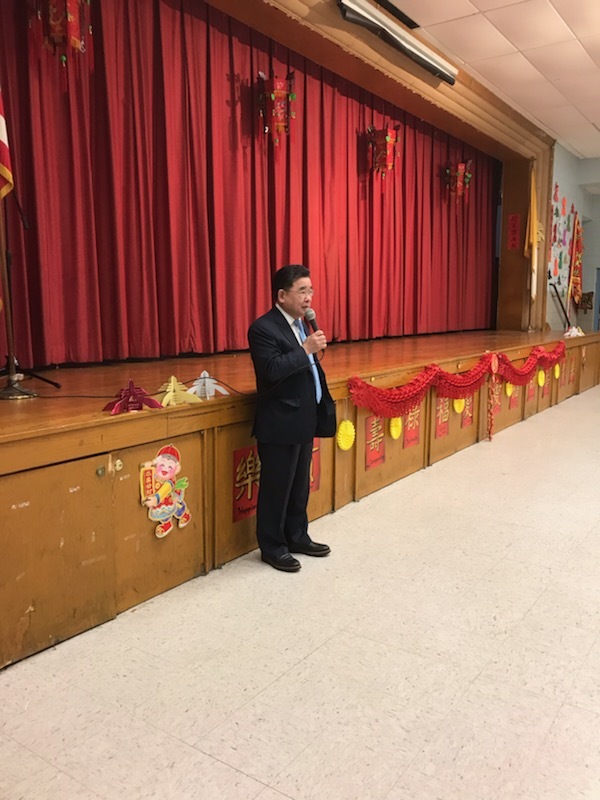 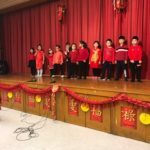 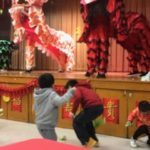 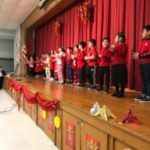 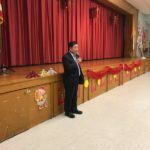 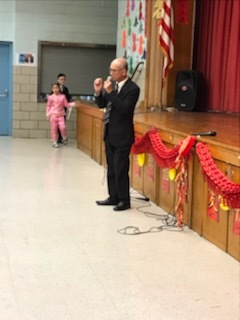 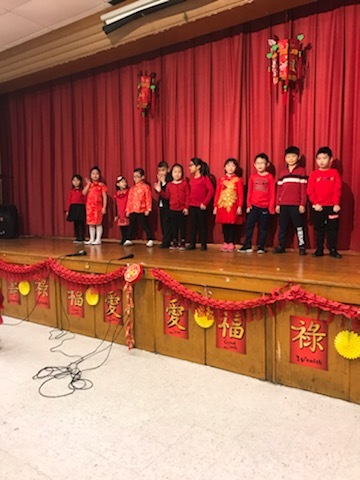 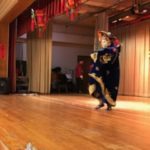 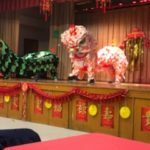 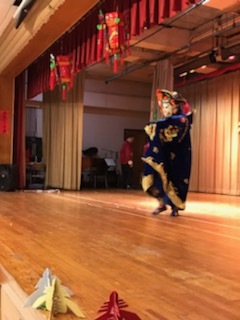 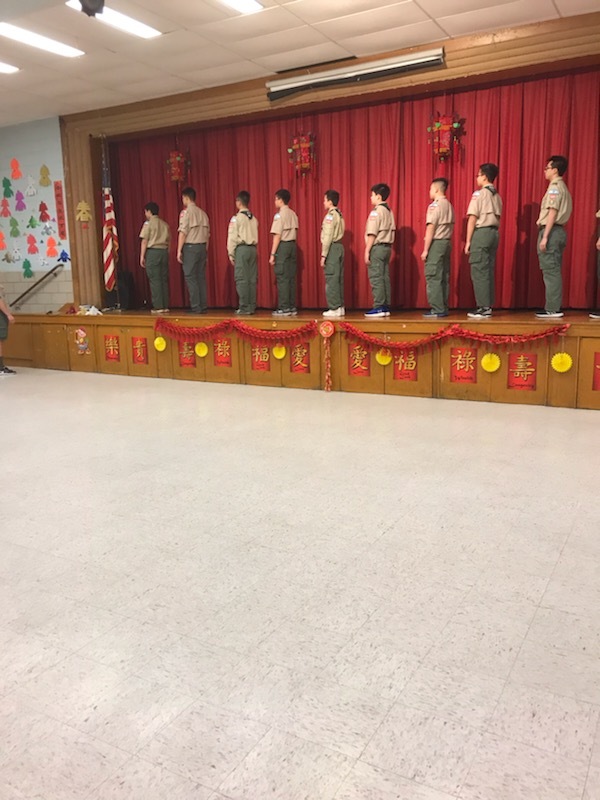 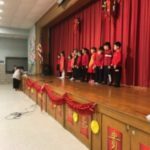 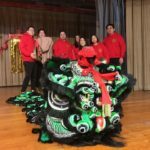 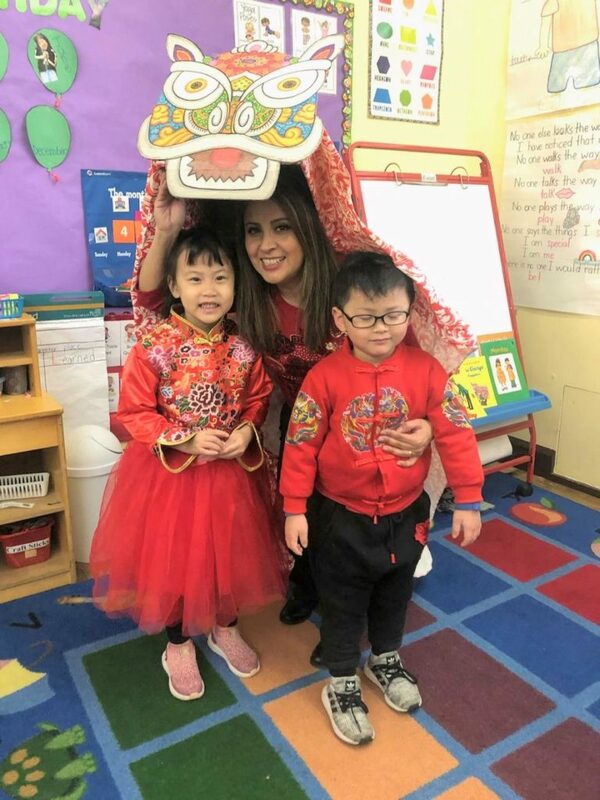 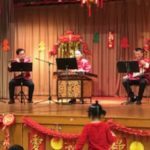 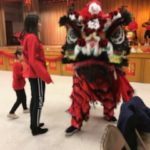 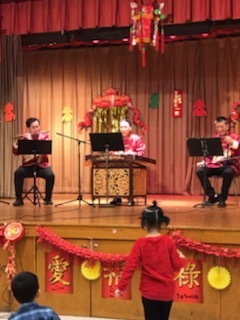 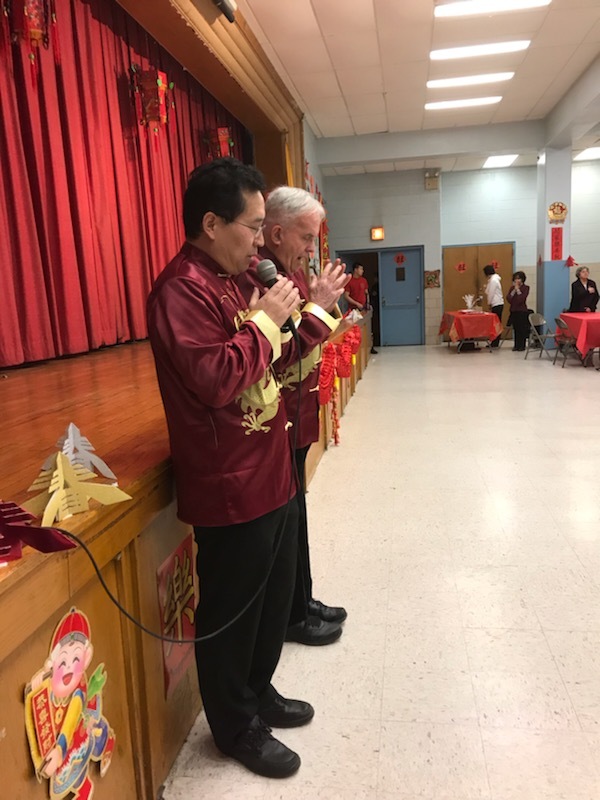 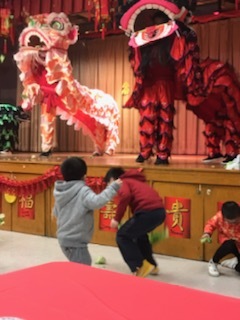 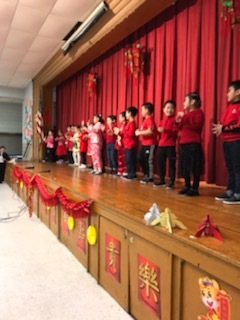 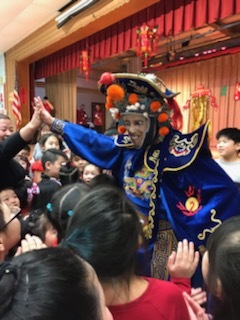 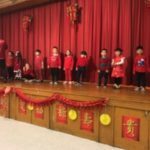 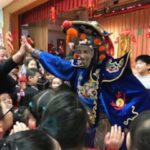 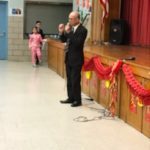 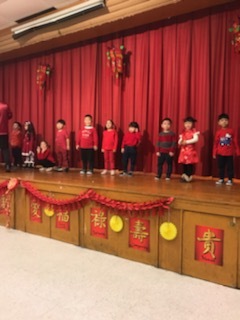 The Lion visited the PreK Classes at St. Michael’s Catholic Academy to sing, dance, and to celebrate the Chinese New Year. 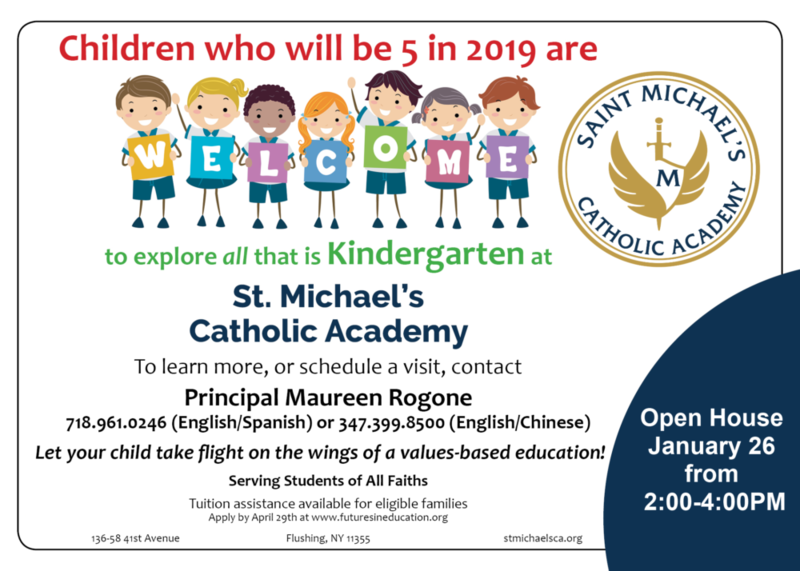 On January 30, 2019 Fr. 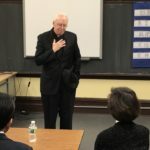 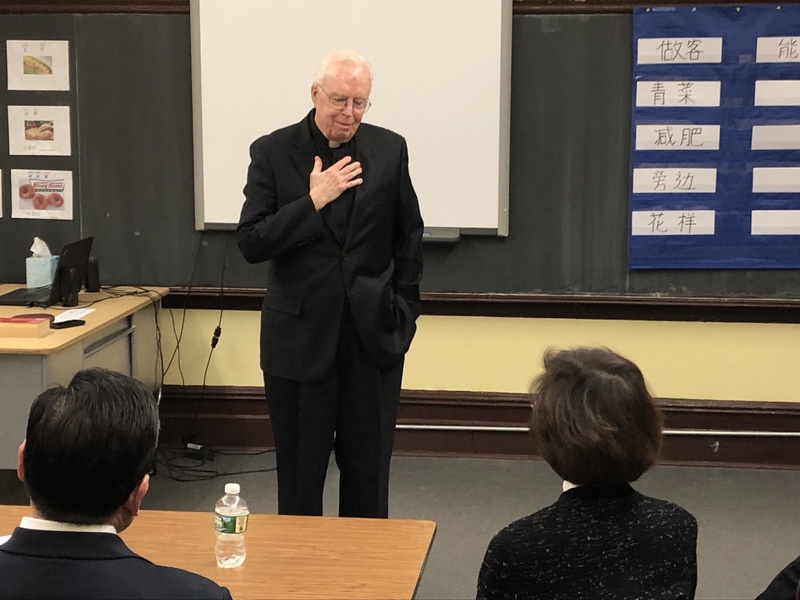 John Vesey, Dr. Christian Sullivan (Chair of the Board), and Mrs. Maureen Rogone welcomed Msgr. 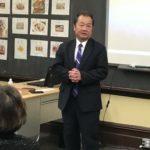 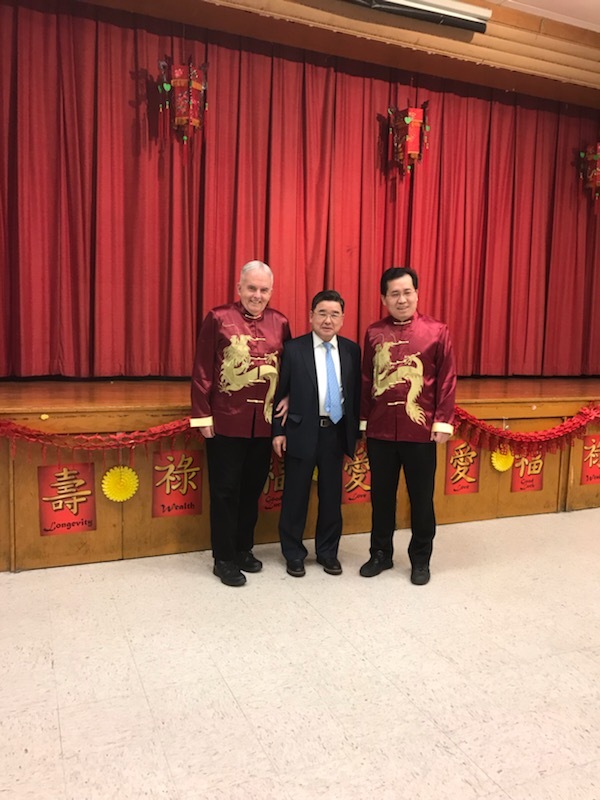 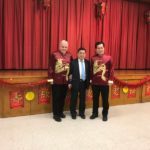 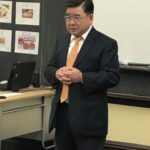 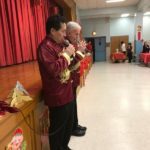 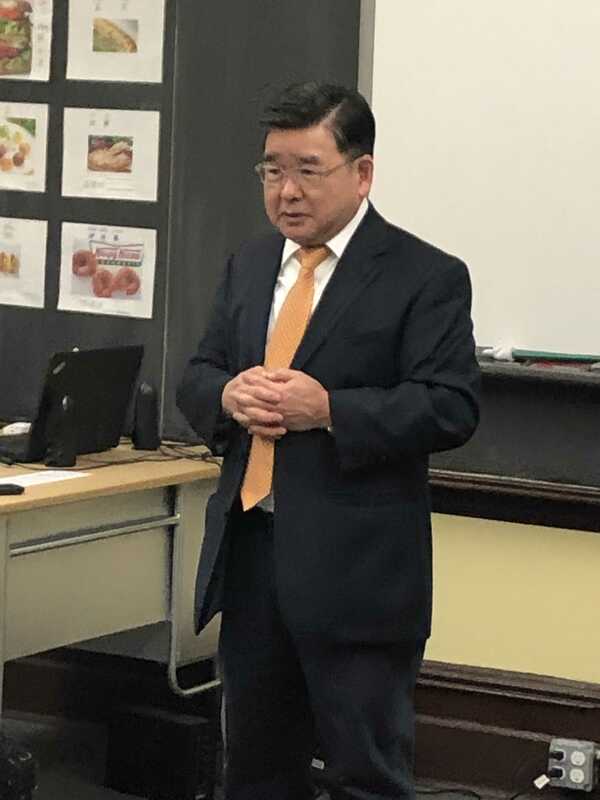 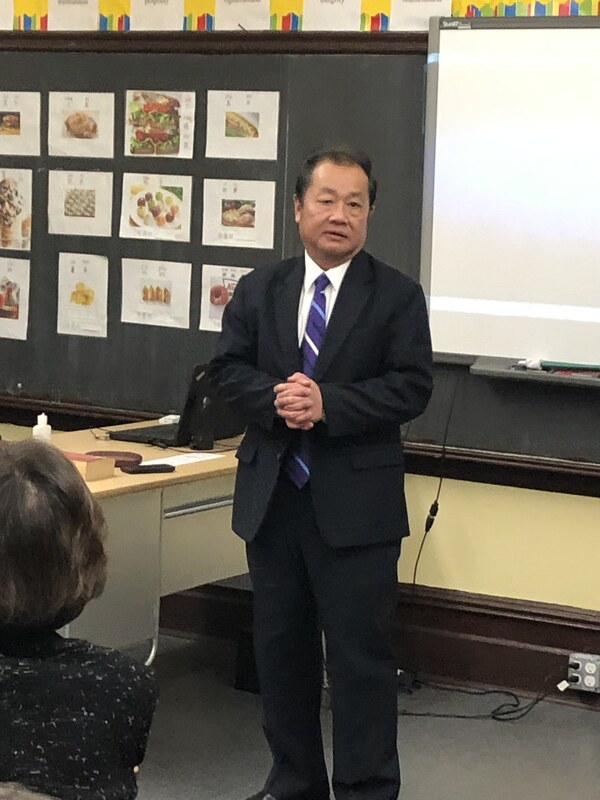 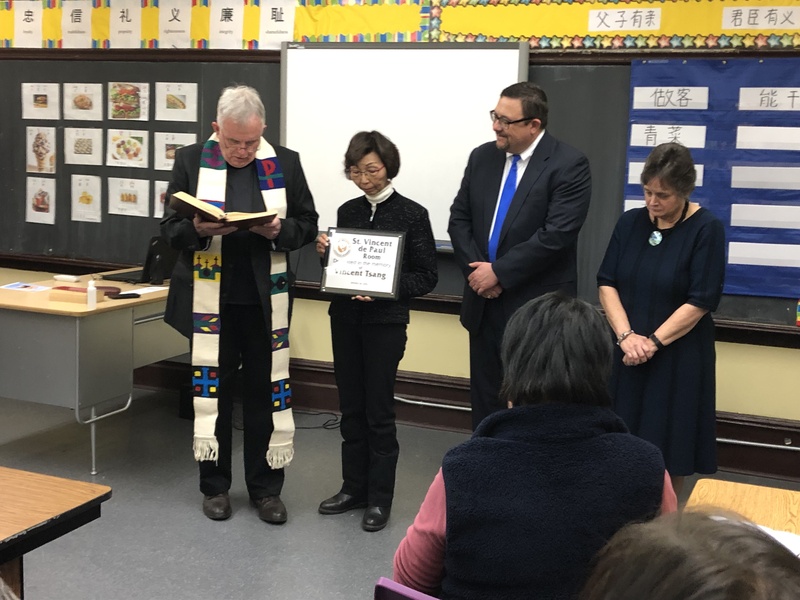 Edward Wetterer, New York City Councilman Peter Koo, and Mr. Peter Tu (Flushing Chinese Business Association) to the dedication and blessing of the newly renovated Room 403. 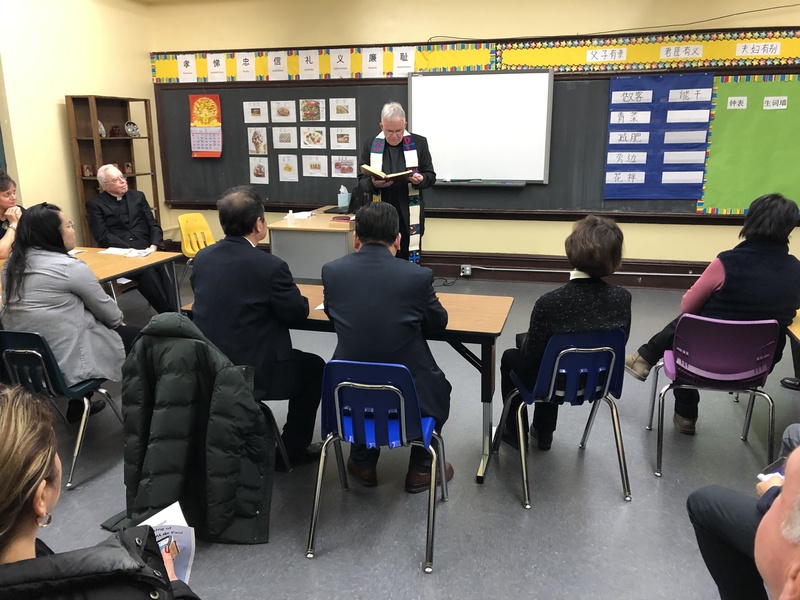 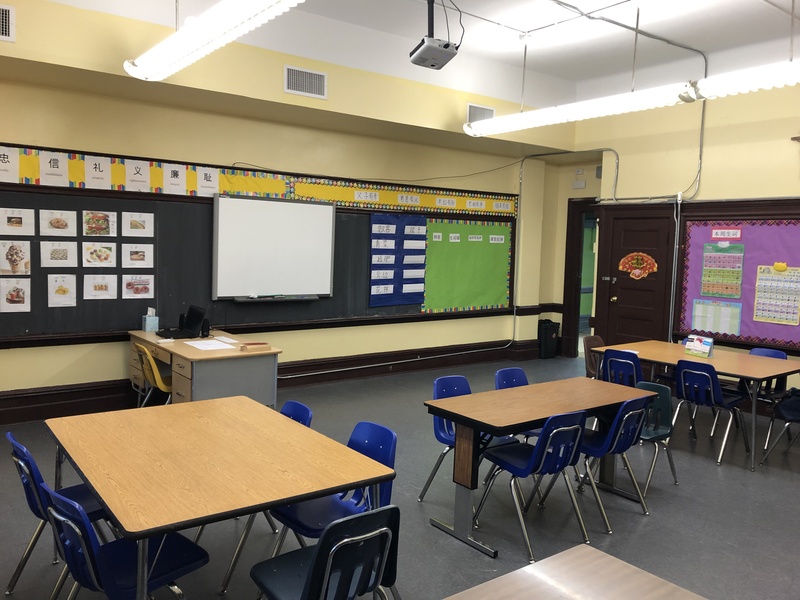 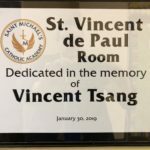 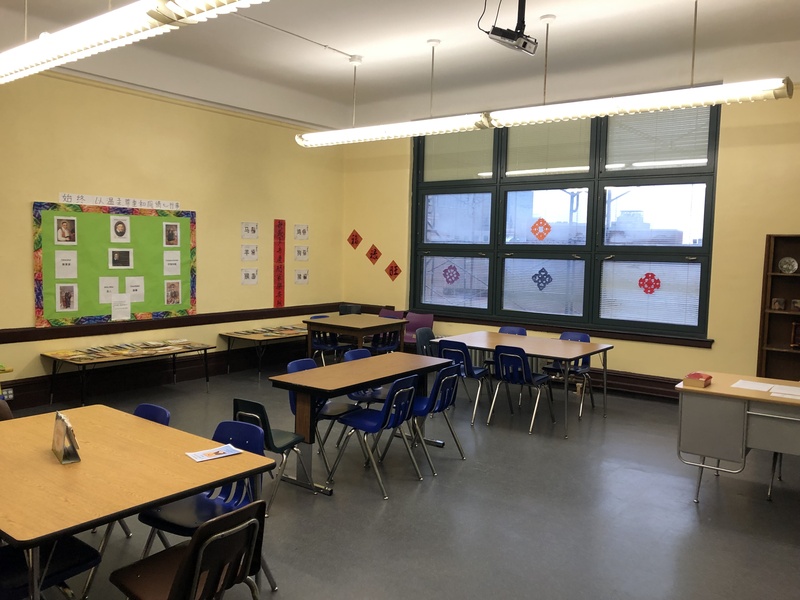 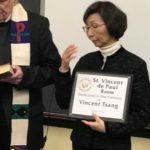 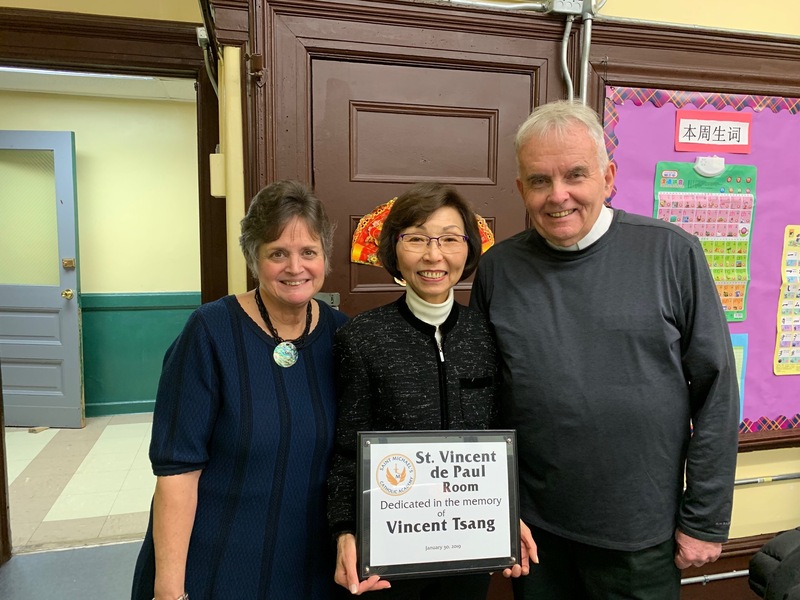 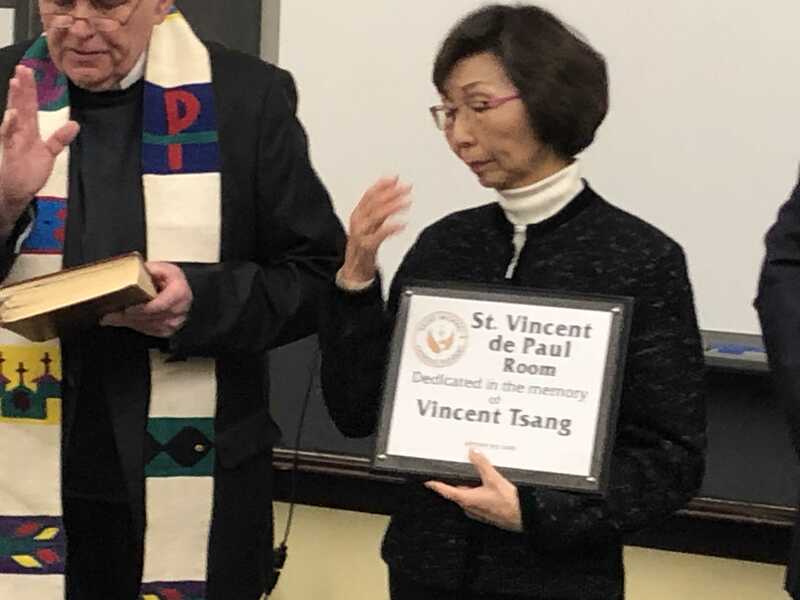 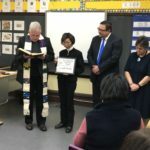 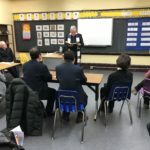 It was dedicated the new St. Vincent de Paul Room and dedicated in the memory of Vincent Tsang, a longtime parishioner, volunteer, and ardent supporter of St. Michael’s Parish. 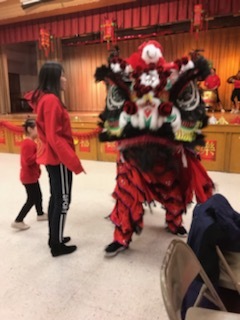 Also on hand were special guests Veronica Tsang and many of Vincent’s friends. 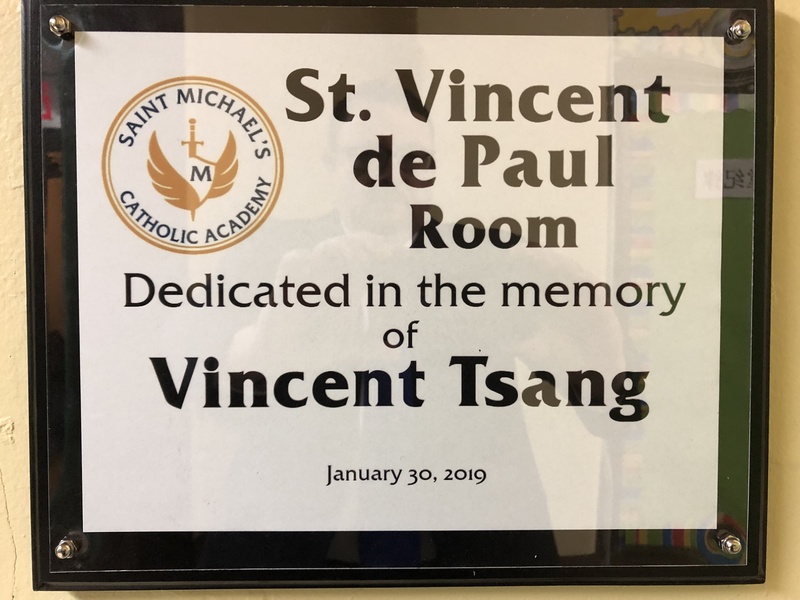 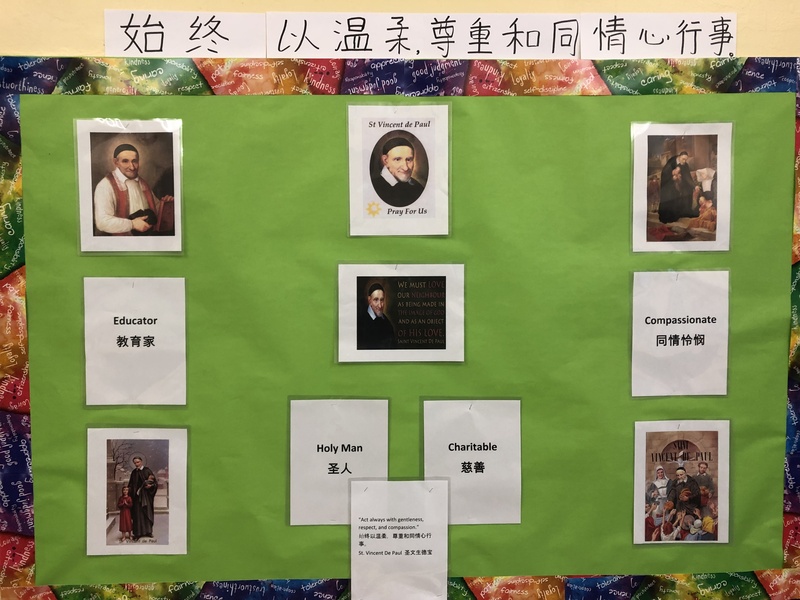 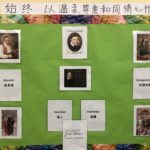 SMCA Students in the Dual Language Program read about the life and works of St. Vincent de Paul. 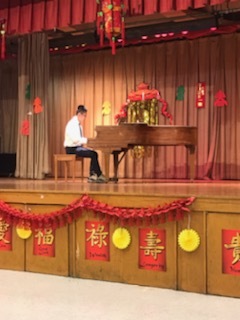 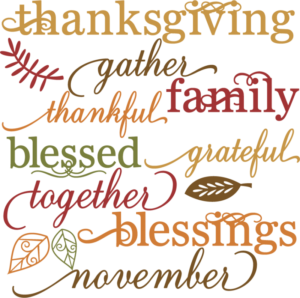 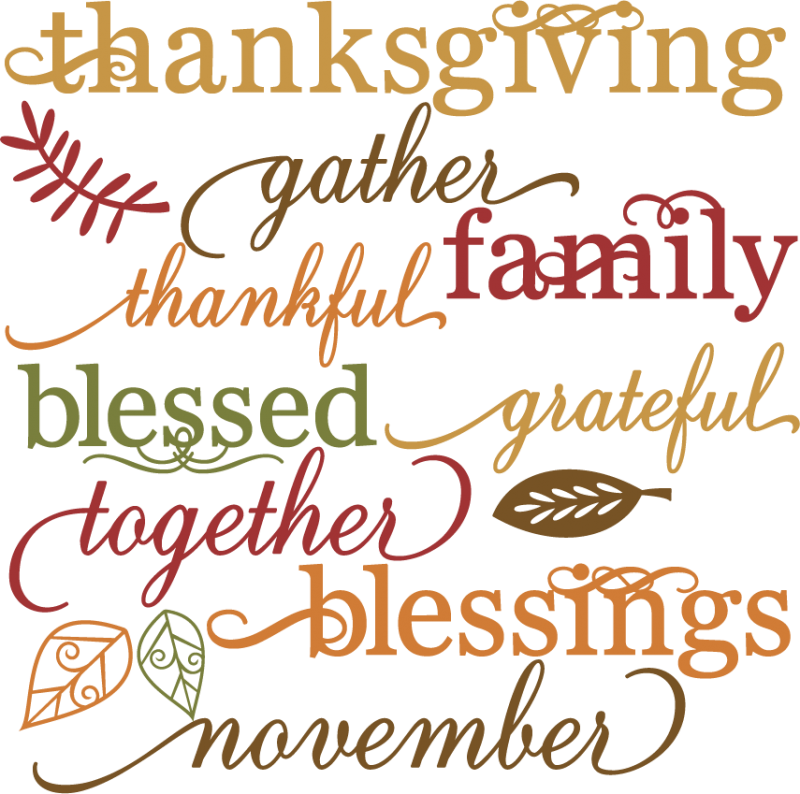 with an evening of food, music, and entertainment. 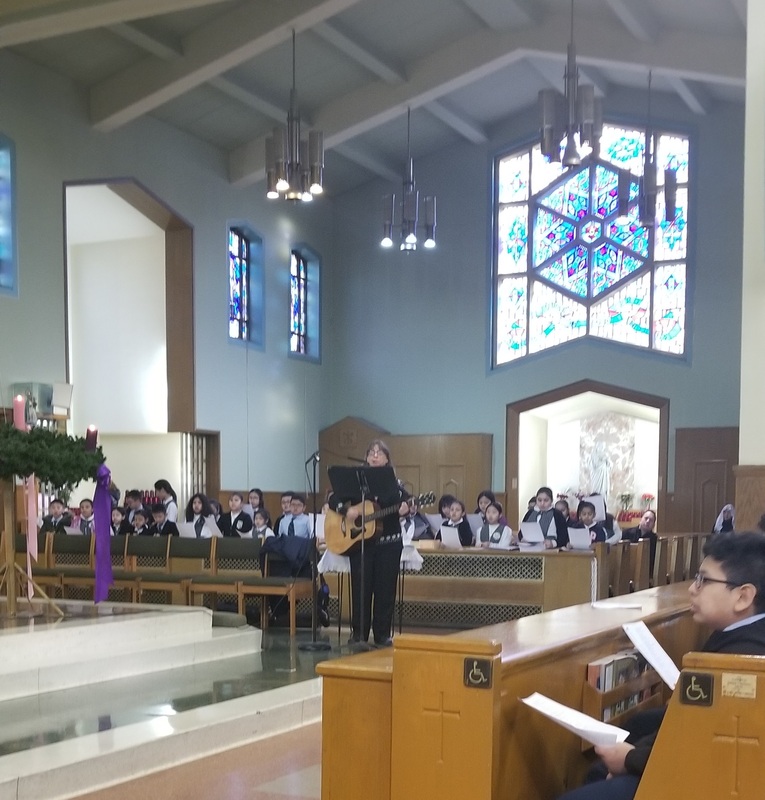 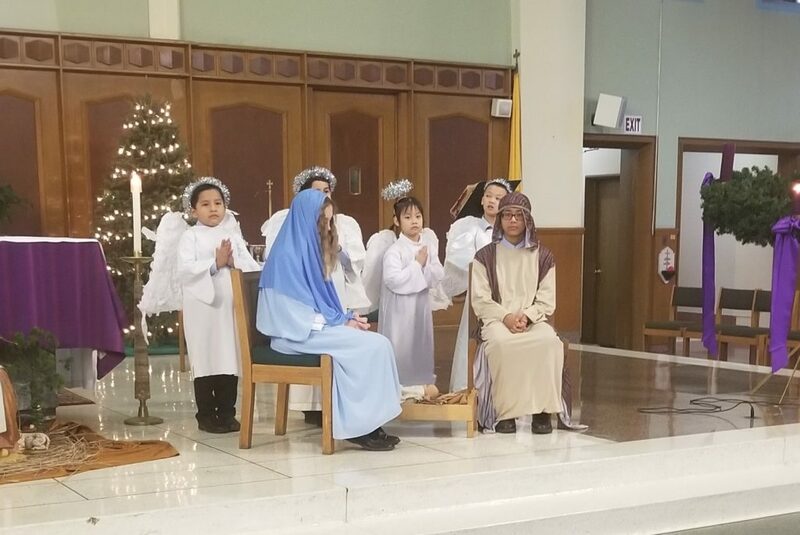 Students at St. Michael’s Catholic Academy celebrate Christmas with a Mass and Nativity Presentation. 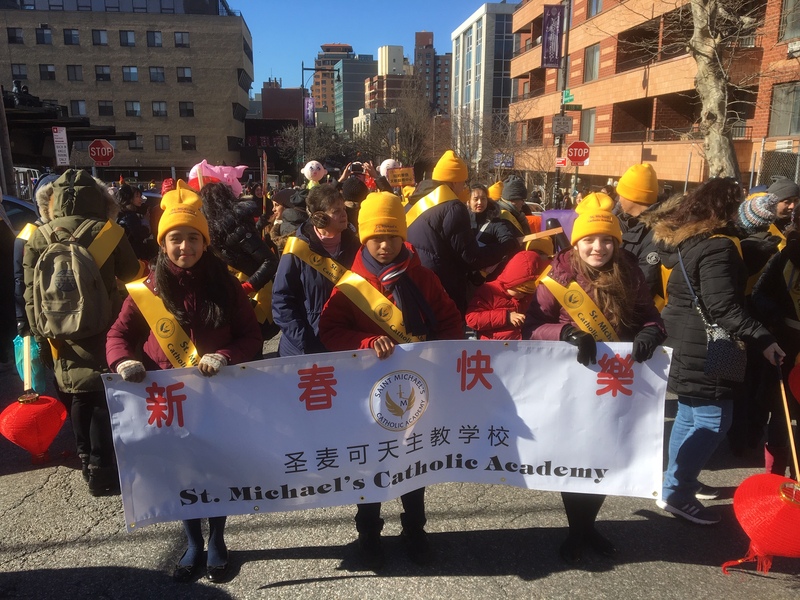 The NYPD Jazz Band brought holiday cheer to the students of St. Michael’s Catholic Academy by playing for the students on December 17, 2018. 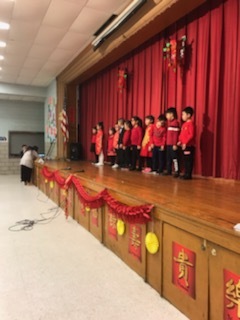 Students were singing, clapping, and dancing along. 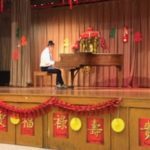 Thank you to the NYPD Jazz Band. 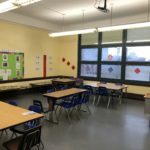 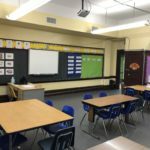 Below is a link to the First Parent Newsletter from the Office of the Superintendent. 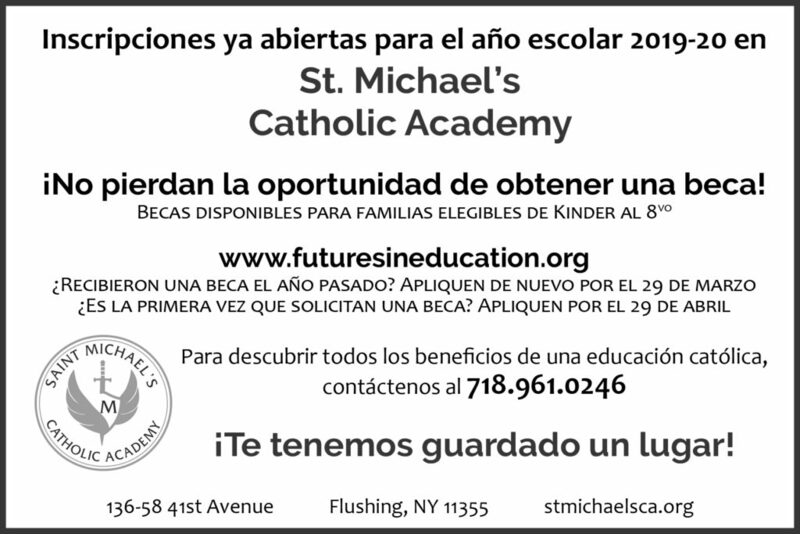 We hope that you find it informative and helpful.